“Every 4 years, the world has one-time zone’’ World Cup 2018. No matter where you live or what sport you love, the love for football reunites us as one. This is what FIFA is all about! It’s about celebrating passion by capturing national level rivalries in one game, giving football fans a chance to play heroes and be part of the World Cup. This year was no different as the event kicked off on June 14 in Moscow, Russia. 30 days of glorious FIFA World Cup created quite a buzz all over the world with every fight for the Golden Cup worth watching. The FIFA craze was definitely a hot topic trending in Dhaka city, with fans showering their constant support and love for their supported teams. 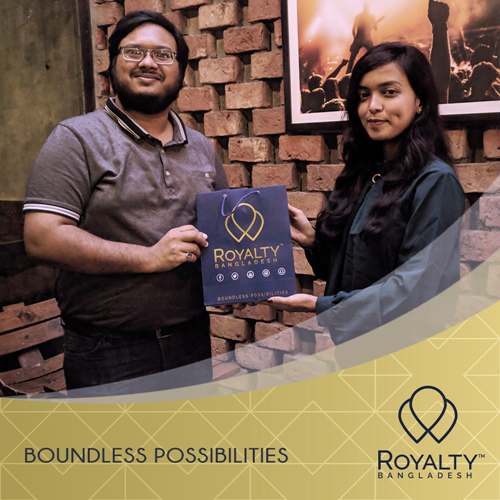 Royalty Bangladesh is all about Loyalty and, thus, we wanted to reward the football lovers all over Dhaka who showed their loyalty towards their favorite teams. 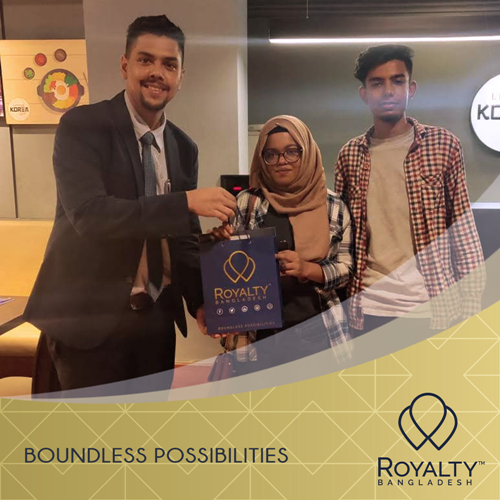 We created a hype in the town by promising the football lovers with exciting offers and prizes through various contests. 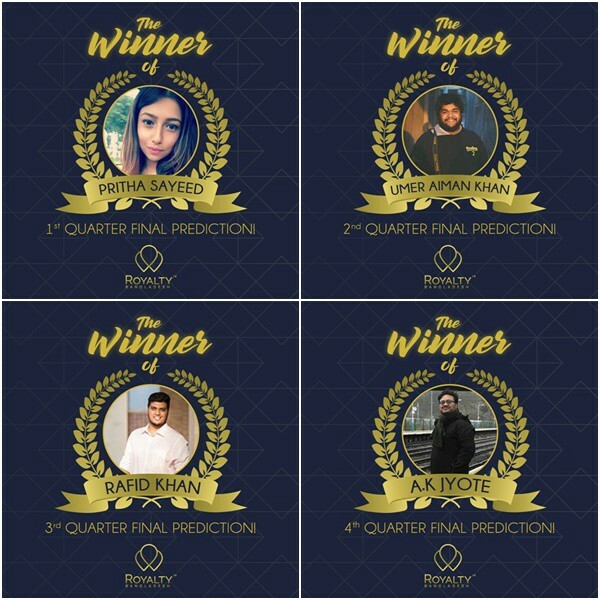 The Facebook campaigns were divided into 4 Big ones; The Quarter Finals, The semi-finals, The Playoff for the Third place and The Mega Finals. 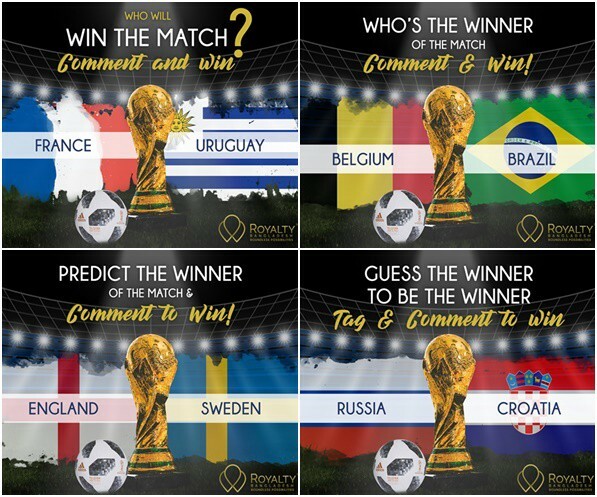 Semi-Finals’ Campaigns started on 10th July, and the possibilities of winning exciting prizes just started for the fans! Everyone had their eye and were engaging on our Facebook page, after the success of the Quarterfinals campaign. People were excited and the responses we got were tremendous! Who is gonna take the third place back home? 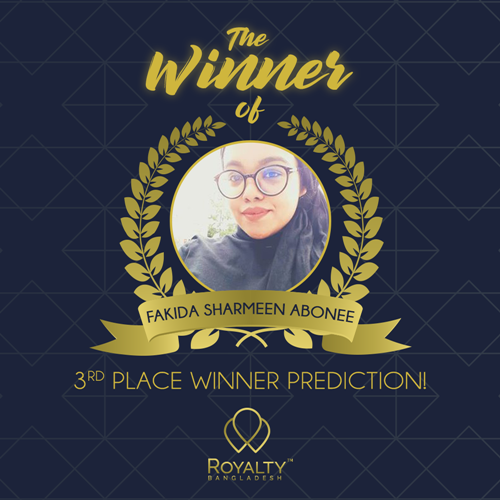 Guess now to win! 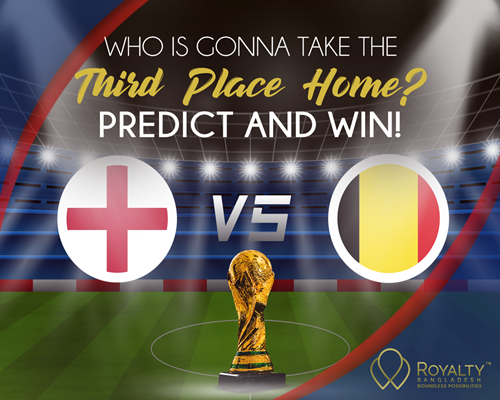 The Playoff for the third place took place on 14th July and even though Belgium and England did not make to the Finals, we got to witness a thrilling game between them where Belgium emerged as the winner against all the odds. 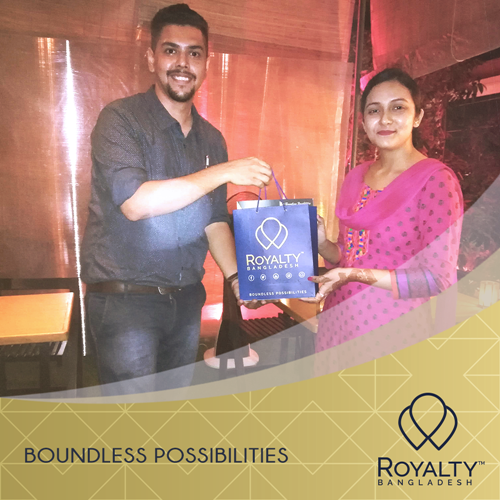 And along with Belgium, our lucky winner won too with a prize of a dinner for 2 at Little Korea. Who will write their name in history with one strike? 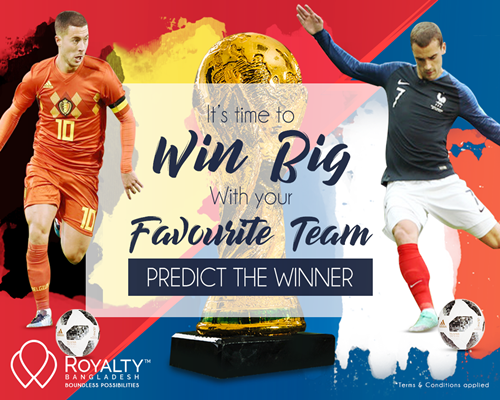 Predict the Goal Scorer and win! “Winning isn’t everything, it’s the only thing.”—quoted by the legend, Vince Lombard. 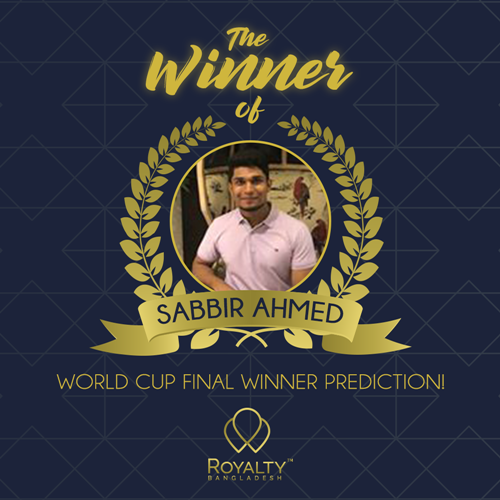 And that is why Royalty Bangladesh wanted to make this finale an ending to remember, for our Football campaign and our winner for the Final contest. 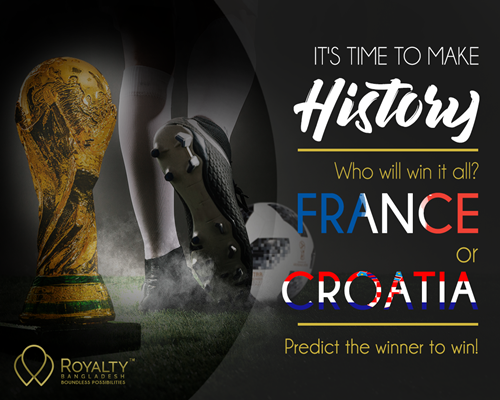 The Finals match ended on 15th July and marked history with France becoming the Champion of the FIFA World Cup 2018. And, thus, our winner for this history marking competition was treated with nothing less. 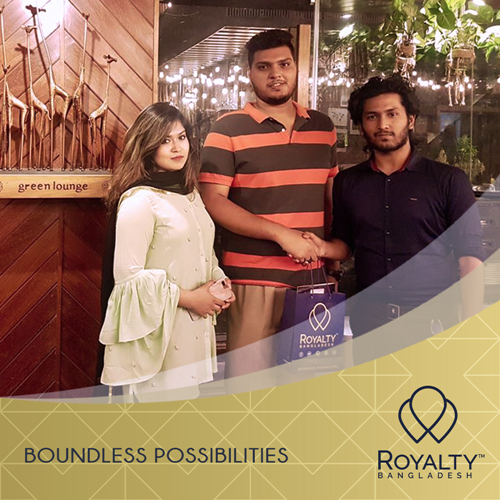 Our winner captured an exclusive dinner for 2 at The Beast—Four Points by Sheraton! The journey for this World Cup was as thrilling and competitive as it could get. 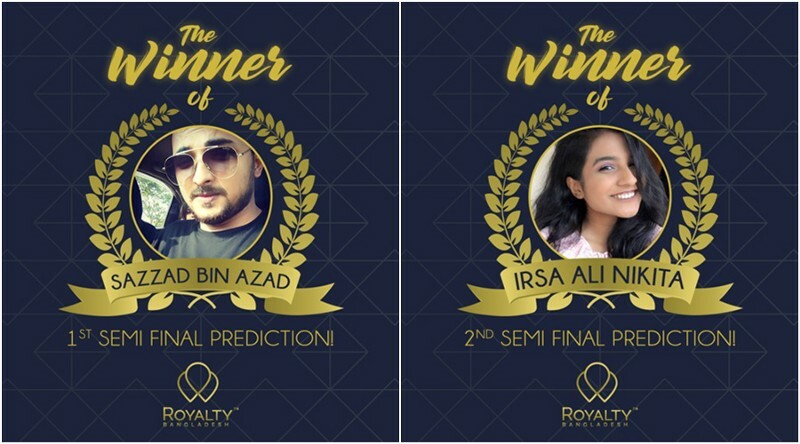 And the winners definitely deserved every bit of the Royalty treatment. 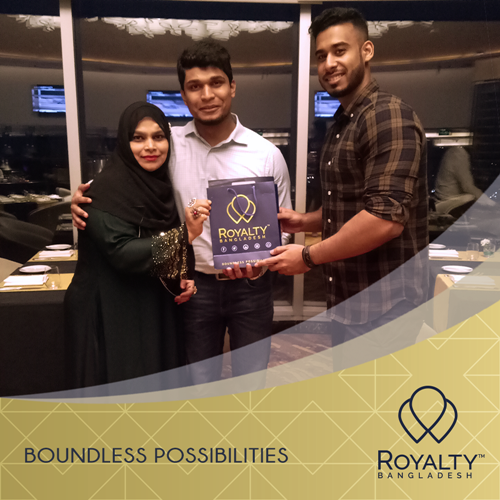 Our Representatives from Royalty Bangladesh personally received and welcomed our winners from each of the contests.